Women usually like to have several handbags but handbag storage can be a problem! 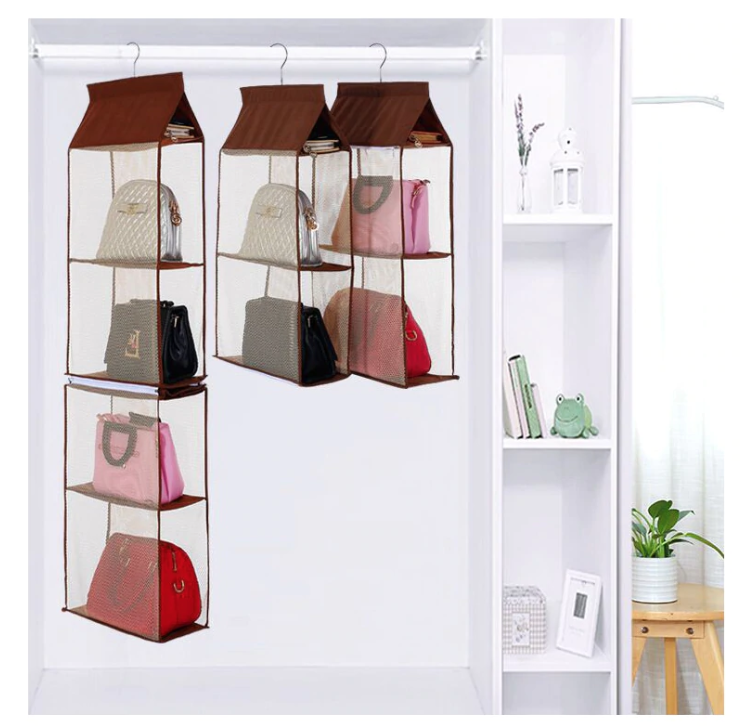 Our exclusively designed Hanging Handbag Storage Solution offers you the chance to add easy additional storage to your hanging closet One of the best features this hanging storage has to offer is the ability to be divided into two different storage bags. Each one with two pocket spaces, allowing you the chance to break down the length of the storage bag. 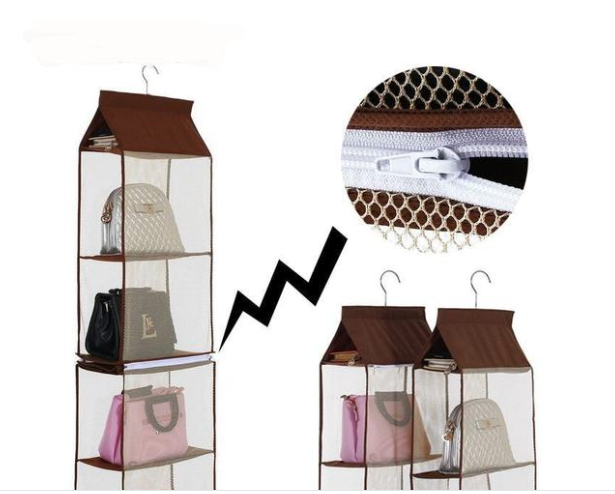 All you have to do is unzip the connection, and you will have two hanging storage spaces instead of one. 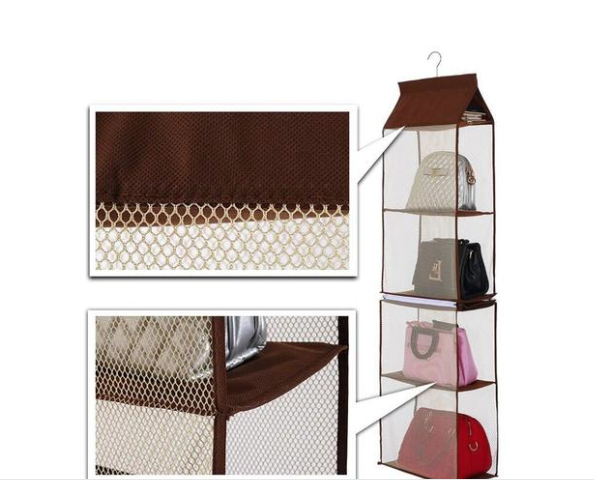 Making sure that you have the ideal hanging storage solution for your home. 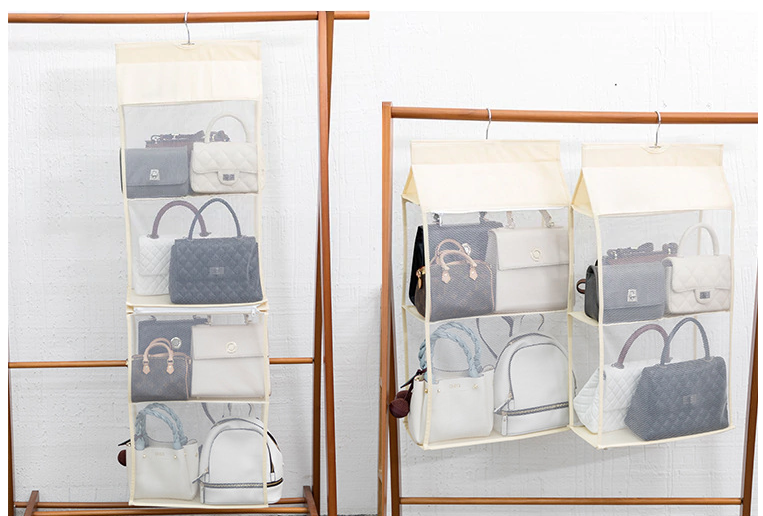 Ladies, do not worry about storing your bags anymore. This simple to use hanging storage will easily hang off the railing and offers four large storage spaces for you to take complete advantage of. Don't need four compartments for bags? Since it can be divided into two, share it with a family member or a friend They will surely love it! Select the Color, Add to Cart and Click the Green "BUY NOW" Button to Claim Yours! Can be divided into two- please see the size in the image below. Please note that one compartment is slightly longer than the other three compartments. The longer compartment is 30 cms /11.8" whereas the other three are 25.5 cms / 10"